Were in the middle of a new Gin Craze. Scarcely a day goes by without an established brand offering a fresh take on their styles or, more likely, a new boutique distillery opening its doors where gin is de rigueur.From Adnams to Zuidam; Beefeater to Bombay and London to Plymouth (and beyond), this new book from a best-selling drinks writer is the authoritative guide to the world of gin and a celebration of the hippest drink on the international bar scene. With serious gin bars stocking well over 300 brands and adding still more, how do you choose? Is Edinburgh Gin a style, or just a brand name? Can a rose-flower and cucumber infusion properly be called gin? Can gin be aged in wood or does that just make it a strange tasting young whisky? And what tonic to choose, and why? 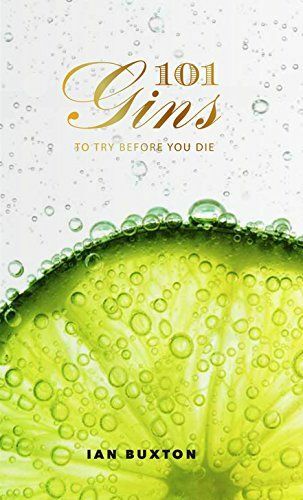 In his inimitable style, best-selling drinks writer Ian Buxton will lead readers through the great gin trap with his latest no-nonsense guide to 101 Gins.